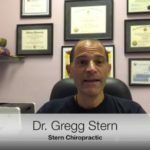 I was referred to Dr. Stern by my friend, Rose Barati, who has been a patient of Dr. Stern’s for several years. 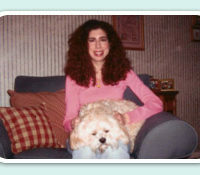 I was suffering from chronic headaches and pain in my shoulders, neck and upper back. I was taking aspirin everyday for the headaches. In fact, it was hard for me to remember a day without some form of headache or shoulder pain over the last several years. My friend, Rose, kept suggesting I see Dr. Stern, she was sure that he could help me. I went to see Dr. Stern for my initial exam, he reviewed the results and said he could help me. Dr. Stern did tell me that I was partly responsible for how quickly I progressed in my treatment; that one’s diet and regular exercise also play a part in your treatment. 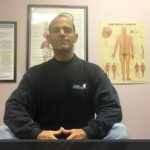 I have been an avid exerciser for many years and I also have a pretty healthy diet, but with all of the good things I was doing for my body I did not feel healthy because of my headaches and shoulder pain. In fact, I just felt tired. 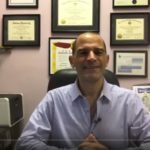 I saw Dr. Stern for my first adjustment , and as I went about my day I could not believe the relief I felt in my shoulders. I usually walk around with my shoulders bunched around my ears but I could actually stand up with my shoulders back. I noticed a marked decrease in the frequency of my headaches. I am not taking aspirin everyday. I finally feel healthy. I saw Dr. Stern three times per week for one month, twice per week for one month and now I am on weekly maintenance. I cannot imagine not going for my weekly visits. Besides the diminishment of all of my aches and pains, I have noticed that I have tons of energy and a positive outlook on life. Dr. Stern is a very caring man who is concerned with making people feel and be the best that they can be. I would recommend him to my family and friends without hesitation.